Send out a Distinctive Custom Wedding Invitation, or Party Invitation. By nature, the way we express our joy is by sharing it with others. So we plan celebrations, and we send invitations. And that’s where THE PLEASURE OF YOUR COMPANY excels. 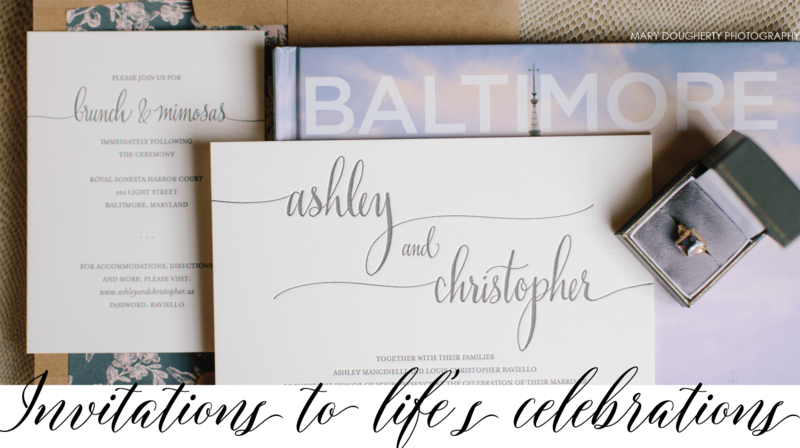 We’ll customize your invitation using a high level of design talent and personal attention you won’t find at any other invitation store in the Baltimore area–and certainly not from on-line vendors. We’re known for our fascinating collection of personalized gifts that can be imprinted with the recipient’s name or monogram, plus a whole library of impressive stationery for letter and note writing.